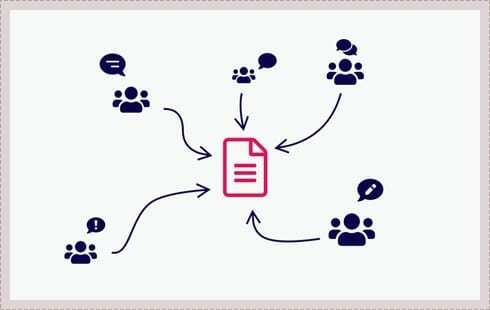 The secure online environment to control and manage all aspects of collaborative document review. An intuitive process that significantly reduces the costs associated with document review. When documents go out for review, things generally get messy. Authors and reviewers end up with a digital pile of Word documents, PDFs and even annotated printed versions. This process, based on email trails, can be a burden for both the people providing their feedback and the people who have to address this feedback. 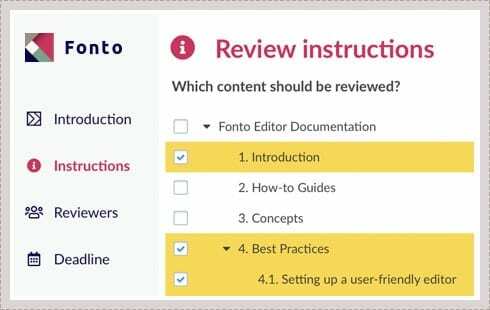 Fonto Review streamlines the co-authoring and review process by enabling people to efficiently provide their feedback on a document, and process that feedback into a new version of the document. An efficient and transparent process that significantly reduces the costs associated with document review. Stop going through loads of annotated PDFs and duplicate Word documents. 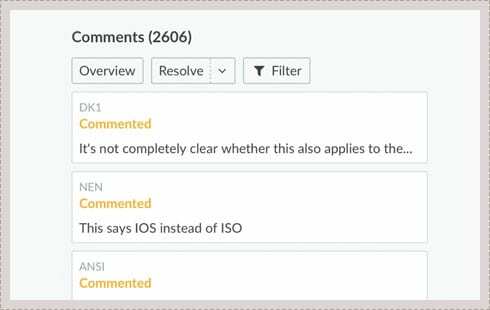 See and resolve all comments directly in Fonto Editor. Specify the parts of your content that need to be reviewed, write instructions for reviewers and set deadlines. Reply on comments and capture how specific comments are resolved. Invite anyone to comment. 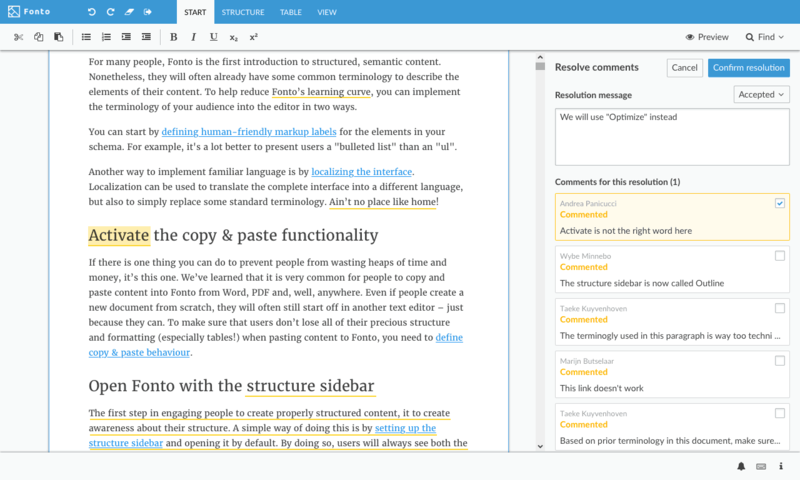 Reviewers can comment on the same document, at the same time. As you are editing your content, comments sometimes no longer make sense. 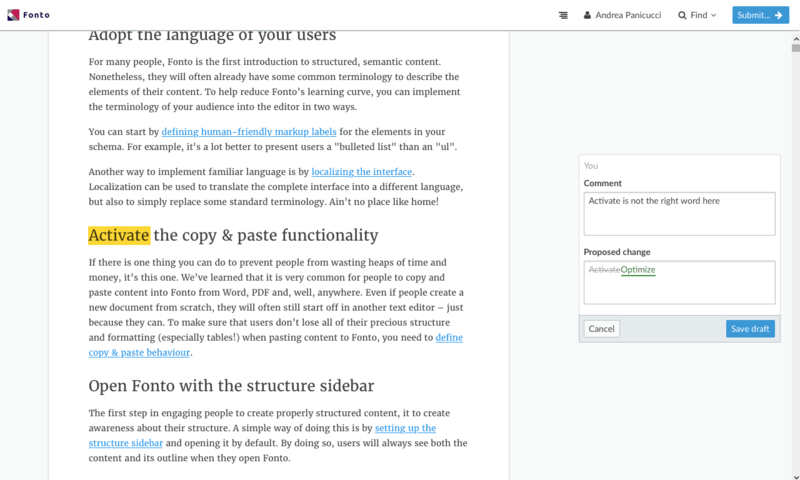 Fonto allows you to go back in time and see what the content looked like when a specific comment was written. 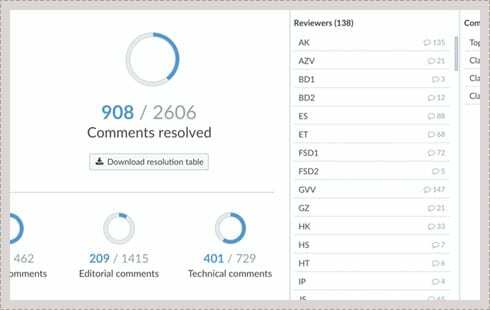 See which parts of your content are in review, how much comments you’ve gathered, or how far along the resolution process you are. 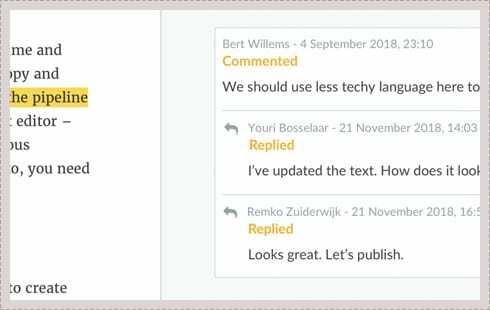 No matter if you have a fixed 6-week review stage, or if you prefer real-time commenting between authors and reviewers, Fonto Review can be tailored to your needs. Fonto Review easily integrates with existing CMS and workflow systems. Words, sentences, images or sections. Add comments to any part of the content. You decide who sees what you write. Keep your comments private until you feel comfortable sharing them with other contributors. 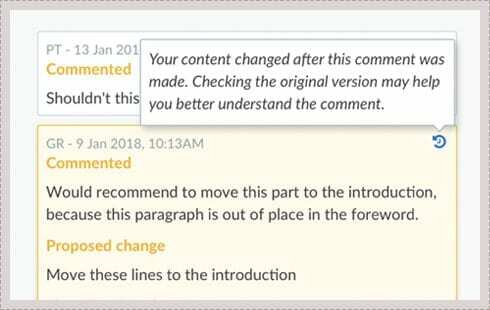 Quickly propose improvements, including visual additions and deletions to help you and other contributors quickly understand your suggested changes. When the list of comments starts growing, dynamic filter options help you focus on what’s important for you at any point in time.